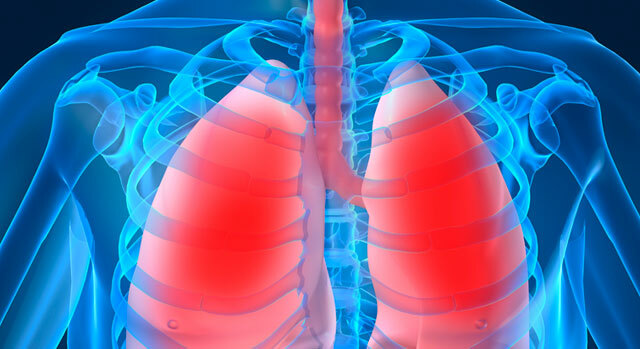 Lung disease is the number three killer in America, responsible for one in seven deaths, according to the Centers for Disease Control and Prevention. The Respiratory Therapy Department at Summerlin Hospital Medical Center provides specialized care, for a wide range of lung diseases such as asthma, emphysema and chronic bronchitis. Asthma is a chronic lung disease caused by inflammation of the breathing tubes, which leads to slowing of air flow into the lungs. The breathing tubes are sensitive, swollen or inflamed in people with asthma all or most of the time, even when there are no symptoms. Asthma is characterized by recurrent symptoms such as a persistent cough, wheezing and breathlessness. The symptoms of asthma, caused by the swelling of breathing tubes, can vary among people and can include wheezing, shortness of breath and chest tightness. Other asthma symptoms can include trouble controlling a cough, a persistent cough at night, difficulty breathing during or soon after physical exertion or exercise, or waking up at night because of one or more of these symptoms. Episodes of asthma symptoms (also called asthma attacks, flare-ups or exacerbations) occur when airways narrow, making it difficult — sometimes impossible — to breathe. Warning signs of an impending asthma attack may include coughing, chest tightness, light wheezing, restlessness when trying to sleep, irritability, itchy throat and watery eyes. For more information on resources and testing available through Summerlin Hospital's Respiratory Therapy Department, please call 702-233-7245.